Apple today introduced AirPods, innovative new wireless headphones. AirPods eliminate the hassles of wireless headphones, by just flipping open the lid of its innovative charging case and with one tap, they are instantly set up and ready to work with your iPhone and Apple Watch. Advanced sensors know when you are listening and automatically play and pause your music. Using Siri, AirPods allow you to access your favorite personal assistant with just a double tap. 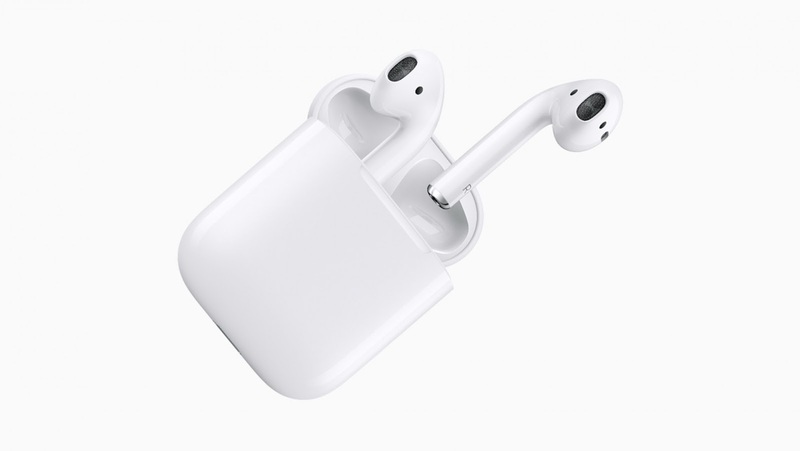 This revolutionary experience is enabled by the new ultra-low power Apple W1 chip, which enables AirPods to deliver high-quality audio and industry-leading battery life in a completely wireless design.